When preparing to install tile in your home, you want to be sure that you end up with a job that accentuates your home and makes your interior look beautiful. To ensure your tile choice will produce this effect, there are many different aspects of tile that need to be considered. The characteristics and performance of the tile, as well as its aesthetic effect should all be factored together when choosing tile. Finding something that fits your budget can also add another element that will play into your final decision. Thankfully, ceramic tile is incredibly flexible and lends itself to numerous design options. There are several steps that go into deciding and laying the tile for your home. The first step is to identify which room or space you want tiled and what its level of traffic will be. With that in mind, you may then select the type of tile that is best suited to that areas purpose and atmosphere. Choosing color, shade, texture and size all follow, and a layout is designed and developed. Trim and decorative patterns may then be considered, as well as the type and color of the grout to be used. It is important to consider whether or not the tile you are selecting will match the tiles environment. For example, selecting a tile that with a heavy glaze, producing a slick texture, would be a terrible choice when flooring areas that are often wet and slippery. Instead, a tile with low moisture absorption and slip resistance is ideal for such conditions. There are various different tile densities to choose from. The more dense a tile is made, the stronger it becomes and the less water it will absorb. Here is a list of the different densities that can be made. These tiles tend to absorb 7% or more moisture. If used outside, the affect would be catastrophic and would the tiles would be quickly ruined, so they are used only for indoor purposes. Semi-Vitreous tiles can absorb from between 3% and 7% of the surrounding moisture. While this percentage is better than that of non-vitreous, these tiles are still ill-suited for the outdoors and are applicable only for indoor use. The increased density of vitreous tiles compared to non and semi-vitreous leaves them often referred to as ‘frost resistant’ tiles. However, even though they absorb less than 3% moisture, their installation in areas that have freezing potential is strongly discouraged, as thaw conditions often result in tiles breaking and cracking. Impervious tiles are commonly used in outdoor areas or on the exterior of buildings. Having an absorption rate that is less than 0.5% and being completely frost resistant, the incredible density of these tiles make them very reliable. When choosing a color or style for your tile, solid colors often look more consistent. When dying and firing tiles however, there is often a little variation. Normally the color of tile is determined by the color of the clay, but shade differences can appear between dye lots and after firing. Various gloss levels will factor into the appearance and feel of the tile you choose. There are four different ratings that determine the shade and text variation. A low rating produces a consistent shade and tile texture. Moderate rating produces tiles that have moderate shade and texture variation, while ratings simply increase the shade and texture variation of the tile. The quality of tile and the tiling job is directly related to the quality of the manufacturer, so to ensure a high quality job is performed, be sure you investigate different manufacturers. Depending on the shape and structure of the area being tiled, there are several different kinds of tiles that can be made to smooth edges and finish the trim. Bull nose trim tiles have a single founded edge on the tile to add a smooth, finished touch. These tiles are often used as a substitute for cove base. A Sanitary Cove Base is similar to that rounded finished top of the bull nose tiles. They are used to cover up the body of the tile. These tiles are specially made with two rounded edges to be used to complete corners. Because grout is typically mixed on site, it is not uncommon that slight color variation can occur. Sometimes this can be seen within different areas of the same installation with the same grout color, or even between the grout used on the floor versus that used on the countertops and walls. To minimize these effects, it is recommended that the color of grout chosen blend well with the overall color of the tile. The grout can be either lighter or darker than the tile, but in high traffic areas, you may want to select a darker grout. The tile setter will often decide which type of grout and grout joint widths to use based upon the exact dimensions of the area being tiled and the size and shape of the tile being laid. Also know that grouted areas that experience heavy water exposure can darken over time, and changing seasons and temperatures can result in grout cracking or separation. Tiling your subfloors may be a good idea, but there are a few common areas of misunderstanding. First, understand that no subfloors are perfectly level, so hearing hollow sounds where the floor’s surface rises, falls, or has ridges is not uncommon. This does not however mean that the integrity of the installation is compromised. It simply means that the original floor is uneven and has been covered over with a flat surface. You have all the necessary information for you to make an informed decision about which kind of tile to use, how it should look, and how it will be installed. There are a few potential additional expenses buyers should be aware of before moving forward with a tile installation. Any extra work needed during the demolition and disposal of an old floor, along with the delivery and installation of the product may warrant further expenses . Furniture removal or replacement, along with subfloor preparation may also be necessary during this process. While not all of these additional expenses are guaranteed, they are a possibility, so be sure you are ready for them, should these situations arise. Now that you are informed about all the important details and information, you are ready to move forward toward getting tiling job completed for your home. 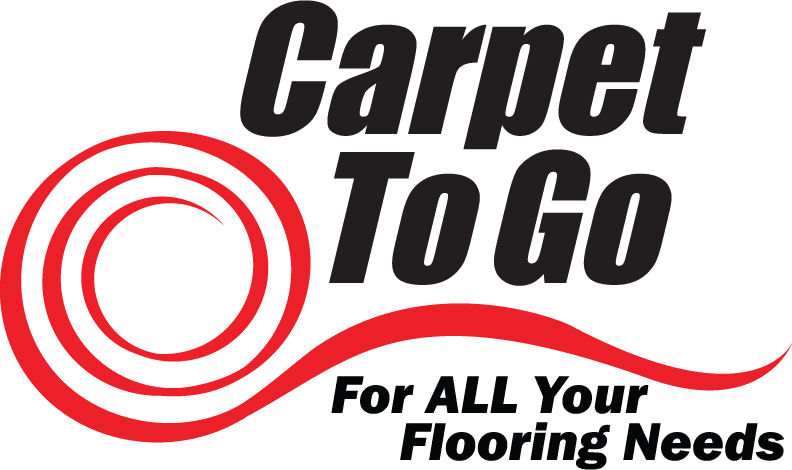 Here at Carpet To Go, we are committed to helping you identify which kind of tile is best suited to your purposes, and our experts will work to instal your durable and reliable flooring that you can enjoy for years to come. For more information, visit our website at Carpet To Go.